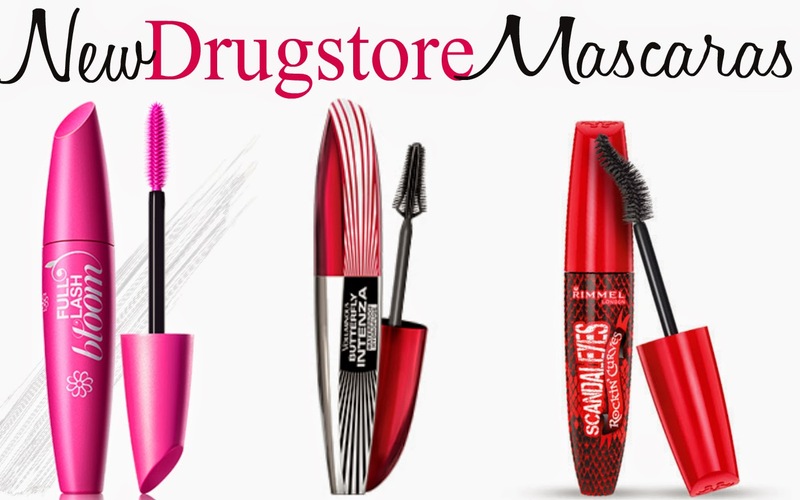 Here's some of the newer mascaras I found. Lashblast Full Bloom Mascara - I saw this on EleventhGorgeous youtube post and can't wait to try it! I love any and all Covergirl mascaras especially the Lashblast! And it comes in waterproof! Score! Loreal Butterfly Intenza Mascara - I actually tried this one already and liked it but not loved it. It separated well, and made my lashes longer, but no volume & I'm a volume mascara girl. It also comes in waterproof thank goodness! Rimmel Scandaleyes Rockin Curves - This one looks interesting. I've honestly never tried Rimmel mascaras, but might have to try this one soon. The brush looks really cool & it's supposed to grab and show off the little hard to reach lashes. We shall see!